Ferrari North America is recalling 2,150 model year 2017 LaFerrari Apertas, model year 2018-2019 488 GTBs, GTC4Lusso Ts, GTC4Lussos, 488 Spiders, 812 Superfasts, and model year 2019 488 Pistas. The fuel vapor separator may crack and allow fuel to leak which, in the presence of an ignition source, may increase the risk of fire. 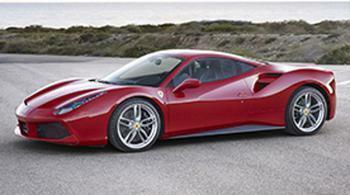 Ferrari will notify owners, and dealers will replace the fuel vapor separator free of charge. The recall is expected to begin April 14, 2019.